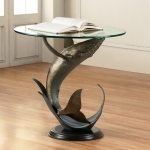 Whale Gifts - Click on an item for more details! 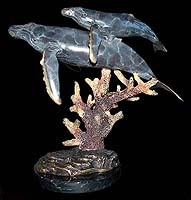 This unique and beautiful Humpback Whale Wall sculpture will add a unique design to your home or office that all will admire. Fiber glass, 12" W. x 6.5" H. Note: Each of these pieces is hand painted and unique. There may be variations in color from those in the image.